Ernest Hemingway may have already passed away, but he lives on through his work. Though the acclaimed other is best known for his novels like The Sun Also Rises, recently there has been some fighting between magazines over publishing one of his first short stories. According to The Independent, Ernest Hemingway wrote the 5-page story “My Life in the Bull Ring With Donald Ogden Stewart” when he was 25 years old. At the time, he sent it to Vanity Fair to be published, but it was rejected. Now, years later — and posthumously — Vanity Fair has offered to print the story it initially turned down. 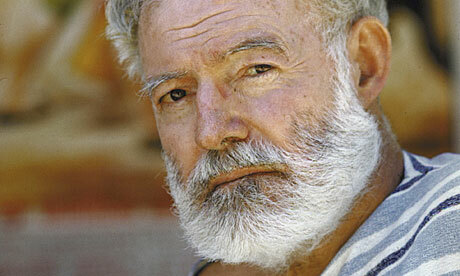 But Hemingway’s estate now turned down their offer, as Paul Bignell explains. Vanity Fair snoozed, lost, and now it’s snoozing again, as according to Entertainment Weekly, Harper’s got the go ahead to publish the story. Though digital sales of books have skyrocketed in recent years, they haven’t in terms of children’s books. But Random House is hoping to change that now by releasing Dr. Seuss books in e-book format. According to The New York Times, the first Dr. Seuss books to go digital last month were The Cat in the Hat, Green Eggs and Ham, There’s a Wocket in My Pocket!, and The Lorax. Though there are some who believe the children’s books won’t be as effective with its illustration in e-book format, others argue that as long as the books are exactly replicated, it will be fine. Not to mention, with digital publishing, more effects can be added. Random House Children’s Publishing is even thinking about enhancing the books — possibly with sound? Publishers believe this could be a good component for schools as well, as Julie Bosman explains. Barbara Marcus, the president and publisher of Random House Children’s Books, said she did not envision digital sales of picture books overtaking print, but that the releases would provide an additional option for parents who want the convenience of e-books. For those of you who have been waiting for the new Bridget Jones novel Mad About the Boy to come out, you might have something else to be mad about — printing errors! According to The Guardian, publisher Random Penguin accidentally printed forty pages of actor David Jason’s memoir My Life in some copies of Mad About the Boy. Now, of course, there’s speculation that this is playing into why some of the reviews for the new Bridget Jones’ book have been mediocre. But I’d venture to say that the messed up copies of the books might be worth more someday, no? Get Mad About the Boy in hardcover for $13.99. Recap: When life threw Frank a curveball, he made the most of it. His post-Vietnam years were spent on the city streets of Atlanta, sleeping in huts with other homeless people, eating his meals in soup kitchens, and Frank was perfectly fine with that. But when Chloe Roberts is suddenly thrust into homelessness with two young children and no warning or money to her name, she doesn’t have the same upbeat attitude, and her life crumbles. She’s not ready and simply doesn’t know how to be homeless. But when Frank helps her out a bit after meeting each other in a soup kitchen, she starts to get her life together. Until it falls apart again. At the same time, two of Frank’s friends die, and he decides he wants more out of life. He gets a job and finds a home. As Chloe continues to struggle, she once again meets Frank, and he gives her the steady ground she needs to find work, a home, and care for her kids. Things are starting to look up, until someone from Chloe’s past comes back. Now she, her family, and Frank are thrown off course. Once again, they begin to wonder if there’s a way to re-route their path. Analysis: If author Marsha Cornelius wanted to, Losing It All could be a story solely about Frank, or solely about Chloe. But it works better with the two of them together. The chapters switch back and forth between the perspectives of the two characters, and that better juxtaposes them and the way they each deal with the cards they are dealt. The book deals with a number of social issues from the 1980’s — the difficulties that Vietnam War veterans had with assimilating back into everyday life; how much more difficult it was to be a woman — especially a single woman — at that time. What the book really teaches, however, is that life isn’t so much about what you’re given, but about how you deal with what you’re given. Frank makes a choice to just live a better life — and he does. It takes Chloe more time, but ultimately she comes to the same conclusion. Once she decides she’s going to live well, she does. Losing It All is a story about friendship, love, and the power of family. It teaches that life isn’t about money; it’s about people. MVP: Frank. He makes the choice to better his life, and he just does it. Sure, everything seems to fall into place, but that’s because he made his own luck and worked hard. The hope he has is the hope he later lends to Chloe to better her life too. Get Losing It All in paperback for $14.20. Or get it on your Kindle for $3.99. Recap: When Amanda and Dawson met in high school, they fell into the most rebellious kind of love. Amanda was from the good side of the tracks, Dawson from the bad. Dawson’s family was full of criminals, and Amanda’s parents wouldn’t have it. Amanda spent all her time with Dawson regardless, but when Amanda goes to college, and Dawson goes through a life-changing event, their relationship fizzles. Twenty-five years later, they’re both headed to the same funeral in their hometown in North Carolina. Their friend and mentor Tuck has died. Tuck was the man with whom Dawson lived for a while, a man who, — later in life — became close to Amanda. Tuck was the man who allowed the two to spend time together when they were teens. So it shouldn’t be a surprise that they run into each other the weekend of Tuck’s funeral. And yet, the initial shock never wears off after Amanda and Dawson see each other. It becomes clear to Amanda and Dawson that the love between them is still there. But their lives are not at all what they expected them to be. Amanda is married with a family. Dawson has a dark history that Amanda knows nothing about. Is there room for each other in the present, or is the past the past? 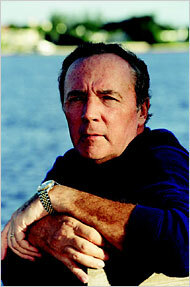 Analysis: If you like Nicholas Sparks books, you can probably guess how The Best of Me ends. Sparks uses the same devices he always does — long-lost love, years go by, love that shouldn’t happen, all set in North Carolina and somehow intertwined with death or illness. So if you like Nicholas Sparks, there’s no reason you won’t like The Best of Me. Though I’m not the biggest Sparks fan, I somehow end up reading a lot of his books. This one doesn’t quite compare with his others — The Notebook, The Last Song, Nights in Rodanthe. The Best of Me includes a number of characters I didn’t care for, ie Dawson’s brothers. Not to mention, it was hard for me to believe or understand how, after 25 years, Amanda and Dawson could still feel as strongly about each other as they did when they were 16; and that all that love could come back in just the course of a weekend. Books can be romantic, and they can be fantasies. But if Nicholas Sparks is trying to tell a realistic love story, there’s simply too much fantasy here to believe it could happen. MVP: Tuck. Though he’s only alive for a small portion of the book, he’s the heart of the story, the one who brings Amanda and Dawson together, the one who teaches them, comforts them and loves them more than either of their parents ever did. Get The Best of Me in paperback for $10.98. Or on your Kindle for $5.69.